Thanks so much. My garden gives me so much! Wow! I never knew anyone with a personal water lily. I thought they only grew in parks. I’m impresses. It’s very pretty! I’m envious. Thanks, Joanna. They are a little pricey. I waited for a half off sale and got mine for $10. Love the picture! Good luck on your project and hope to hear from you soon! I love the personal water lily remark by Joanna. Joanna has a way with words. 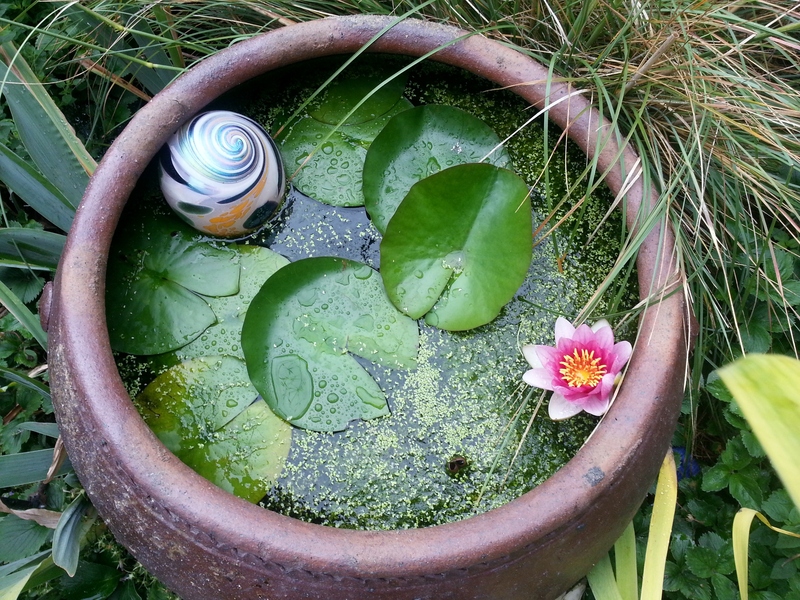 I used to have a water garden and I still miss it, so I appreciate your photo of the water lily. They’re just lovely when they bloom aren’t they? Good luck with all the refurbishing. Sounds like lots of work! I look forward to the teddy bear story. Thanks, Nancy! By the way, your place looks so beautiful. I would love to see more photos of where you live, if you felt inclined to share them.